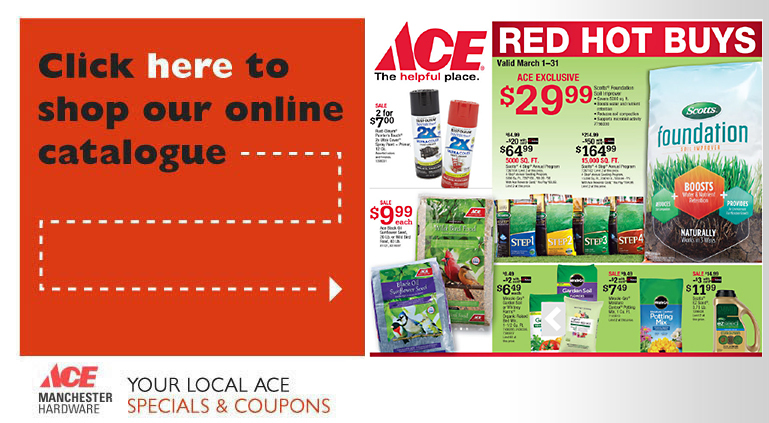 Thank you for your interest in Manchester Ace Hardware, where our customers always come first! Stop by our store to see the wide variety of products we carry and experience true customer service. 4335 N. George St Extnd. Complete this contact form and we will reply as fast as possible. Or call us during our business hours. We would be glad to answer any of your questions or concerns.